The life we live, we live according to the dreams we have. One big, life defining dream that both James and I have had, is to share the fullness and richness of this life that we have been given in Christ as we walk together with our Father. Our deepest desire has always been to gather like-hearted, hungry people to live together for a time. We realised that in doing so we can share and grow in this life that we have all become partakers of. We have come to know that it is only in love that we can grow to be like Jesus and we can only grow in love as we learn to love one another on a meaningful level. This takes some time. This dream sat with us for many years. We saw the value of having schools that spanned over six days, ones that we ‘creatively’ called the Fatherheart ‘A’ School which led on to Fatherheart ‘B’ Schools. As effective and wonderful as these schools are, the fullness of the revelation that we had received and continue to receive can only be imparted and received at a certain level during this short time. One thing we have learned in our life process is that love is a substance and it is communicated and received through relationship. Much of our lives have been spent in community, either in our own home or in Christian Communities such as Orama on Great Barrier Island, New Zealand and Daystar Community in the U.S.A. These experiences have been very formative in how we have come to know the life we now live. 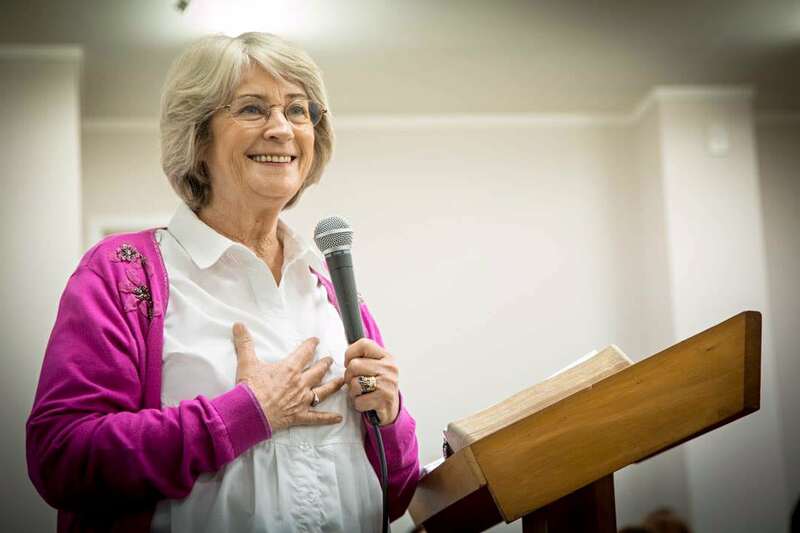 An opportunity opened up to us in 2008 when some dear friends, Bob and Lynne Mitchener, returned to Great Barrier Island to breathe life back into the community that had meant so much to us and where many connections had been made to people of important spiritual influence in our lives. Orama was founded by a couple named Neville and Dorothy Winger. Neville was a very strong prophetic voice in our country during the 60s and 70s. It was through him that the bible school and rehabilitation ministry, which we attended in 1976 and became very involved in, was founded. That work ended in 2004, when the gates of the community were closed for the last time and although the land and its buildings were being taken care of, the work of the Lord was finished. Another significant figure to us was a man named Ken Wright. He and his wife Shirley were Elders in the Church we attended in Palmerston North. Ken had a very strong international ministry as an apostle and had played a major part in our healing when we first became Christians. Ken had been on the Orama trust board for many years and visited and ministered there often. The last spiritual father that was connected to Orama was a man named Jack Winter. Jack visited there to speak at the summer conference that was run each year. It was whilst at Orama that Jack first began to see that God the Father wanted to have a heart to heart relationship with us and more significantly, that His love can be imparted. It is in learning to receive and live in His love that we experience what it is to walk as true sons and daughters. This has been a foremost revelation that has been revolutionising the body of Christ since those days in the late 70s. Lynne and Bob felt led by the Lord in 2007 to return and ‘open the gates’ so that the beautiful valley that the Lord had so anointed would be filled once again with His Glory. It was early in 2008 that Lynne contacted me and asked if Fatherheart Ministries could help make that happen. In response to Lynne’s request James, myself and four others on our team decided that we would go to Orama and see if God would speak to us. We prayed and waited on the Lord to see if He would speak to us about any involvement that he had planned for us there. On the last morning of our three days I woke early with a very clear line of a song in my head, written by our friends Paul and Hilary Kyle. It came in the form and power of a prophetic word. Does the flame burn brighter in your hand than it burned in the hand of your Father when he said, ‘its your turn!’? In a moment I knew that this was the place to pass on the baton, a place where spiritual fathers and mothers would come and pour the treasures of their hearts and lives into the next generation, be that young or old. At that moment I had a clear realisation that it was in this place, Orama, that all our Spiritual DNA was formed. Where all the major influences of our lives in the form of spiritual fathers and mothers had gathered. I realised that Orama was the place for us to ‘pass the flame’ on. It is there where our Heavenly Father wants to come and build relationship and community with His children. This is made possible during the 3 month INS school. We have found that the extended period of time living, learning, laughing and sometimes crying together allows our hearts to at last come home to the depth of His heart that we have been longing for. There is a place reserved for you. For James and I there is nothing that brings us more joy than to be able to provide such a place. We have gathered teachers who are real, authentic, approachable and who have a living relationship with Father, Son and Spirit. People who carry the Father’s love for His children and ones who are willing to be conduits of His love. It is a thrill to see a dream that Father gave us so many years ago alive and bearing fruit. We invite you to INS | The Journey of Sonship this year, believing that the flame will burn brighter in your hand as it is passed to you. Click the link below to apply.